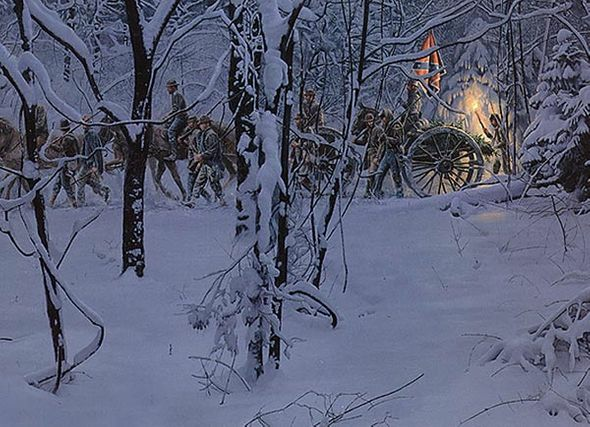 Mort Kunstler Handsigned and Numbered Limited Edition Giclee on Canvas:"Confederate Christmas, The Masterpiece Collection "
Title: Confederate Christmas, The Masterpiece Collection. Edition: Artist Signed and Numbered, Limited Edition to 35. 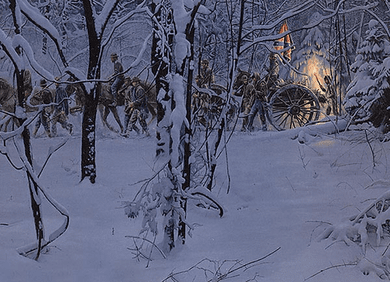 About the Art: Originally released as a paper print in October of 1992, this image continues to rank as one of K�nstler's most cherished and sought-after, which is now virtually impossible to find anywhere at any price. This unique and rare collectible giclée is now being offered to the serious collector as a large format giclée on canvas, limited to 35 canvases, plus artist's proofs. *Excerpt from "Never Forget the Dear Ones", by George F. Root.